My first three purchases from ZA Cosmetics are the True White Liquid Foundation, Perfect Fit Concealer, and the True White two-way foundation case. 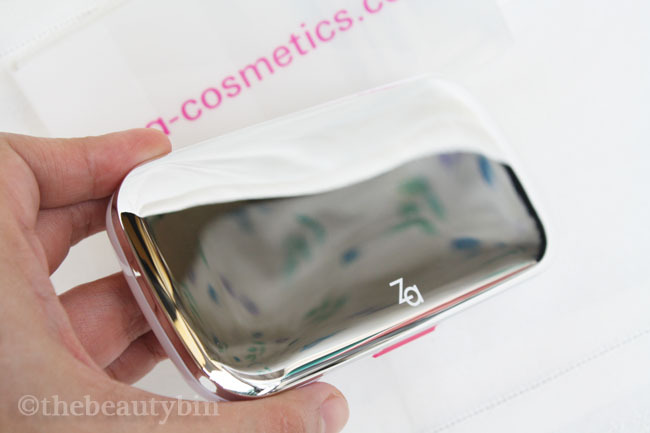 I kick off a series of posts from the brand by featuring my cheapest but invaluable purchase from them -- the silver, white and pink foundation case! When I broke the hinge on my Majolica Majorca Skin Remaker powder foundation's princessy gold case, I swore I wasn't spending P450 again on something I might end up breaking one more time. Thankfully, I saw ZA Cosmetics (which was beside the Majolica booth) and discovered that the Skin Remaker powder refill fits a cheaper case, the ZA true white foundation case. So far, it fits: Majolica Majorca Skin Remaker and Shiseido Perfect Smoothing powder foundies; after all, Majolica Majorca and ZA are both spearheaded by Shiseido Co.
Notes: (A) Plaster a double tape neath the refill and slap it on the case! (B) The case's cover is a shiny, silvery one that becomes less splendid when finger prints and other grimy whatnot stick to it. Wipe as often as you can; if there's one good thing about it, you know your case is always clean! Starting tomorrow till Sunday, 4th of August, ZA Trinoma (as far as I know) will be holding a 20% off sale on ALL items. The ZA true white foundation case will be marked down at P260 (now the deal-hunter in me sighs out for not holding off my purchases, lol)! Shiseido and MM in Trinoma are on sale, too. 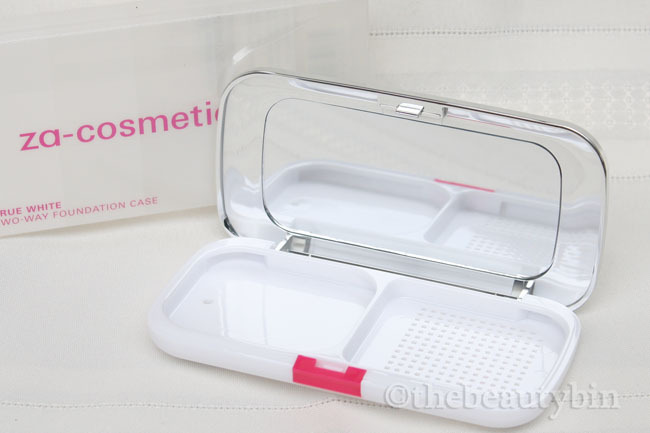 At P325, with my current, most-used up powder foundie sitting pretty snug inside this refill case, I feel victorious. I saved some few hundred pesos and discovered yet another Japanese brand that carries efficient and affordable items! Thanks for the heads-up. Have you tried their powder na? I have the fuchsia case before na I bought sa Sasa HK 6 years ago. Not sure if that powder has the same ingredients to ones sold sa Trinoma. Waaah! Is it like legit metal though? Or painted silver metal? I have tried the true-white powder ay the counter and it's good! Sheerer than Majo I believe but awesome feel and finish nonetheless. Re: ingredients, srop by their counters and compare! :) Sale sila tomorrow, ill def visit. doesnt look hand-painted. id like to think it's metal but i flick my finger against it and it's kind of plastic-y in sound. only thing im sure of is that it's sleek and shiny! This got me excited. It means I can buy a shiseido powder refill and buy this instead. 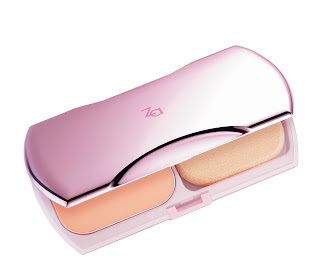 But what's even more exciting is the feeling that za powder compacts could be almost as good as shiseido's for a fraction of the cost.